Yes, it takes a special kind of vehicle to go where others can’t. That’s where Defenture leaps into the driving seat – and right alongside them for the journey is SOLIDWORKS. Dutch designer Defenture is big on design, and even bigger on results. Providing special light vehicles to law enforcement and the military, the company focuses on armoured vehicles that offer an extraordinary level of mobility. It’s a company ethos that has seen it secure business with bespoke clients and the Dutch MoD’s special infantry units. That’s a contract of national importance! For exclusive use by their home country’s special forces, the team were entrusted to deliver on their military ATTV (That’s an Air Transportable Technical Vehicle to you). Needing to cross inhospitable surfaces and power through several feet of water, Defenture had to design a vehicle with laser-targeted micro-precision to make sure it’s up to the task. So a high level of handling and off-road capabilities for sure, but how did Defenture make sure its product fulfilled that criteria? The ATTV has a stunning patented four-wheel steering system. Put simply it’s a rear axle that mirrors the front – and it makes light work of tight corners. This four-wheel steering brings a simple beauty to the art of navigating the terrain where other vehicles would flounder; an ingenious design that gifts a heavy-duty vehicle the graceful precision of a ballerina. Even better? It’s a concept that was designed using SOLIDWORKS. 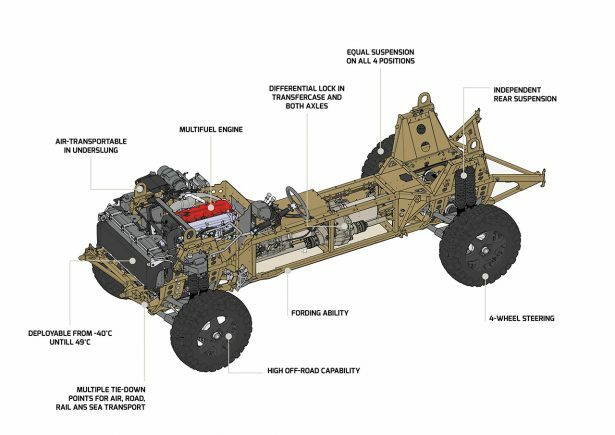 Making a vehicle fit for both combat and reconnaissance requires a deep level of specificity when it comes to drawing up plans. A crucial part of the ATTV’s design is its unique S-shaped exhaust pipe. A composite part comprising several smaller welded parts, Defenture almost asked the impossible of its design: a killer combination of material lightness and phenomenal strength. The team turned to the stress-testing software of SOLIDWORKS Simulation to create their design. With accurate precision and realistic materials at their disposal in the program, the part took shape. It was perfected within the chassis of the vehicle before so much as a prototype even had to be produced. Yet the simplicity of the 3D CAD’s design was just the start of the team’s use of SOLIDWORKS’ capabilities. Utilising SOLIDWORKS for the design process proved to be a masterstroke for Defenture. Duplicating designs across different departments can be a time-sink. Not to mention the added costs. A new design means every part of the company is going to need its own variant designs for use. Research & Development requires blueprints, engineering requires technical designs and marketing will need reproductions of the vehicle in shiny gloss. By storing its designs in SOLIDWORKS Product Data Management (PDM), Defenture was able to streamline the ATTV’s component parts across separate departments – saving themselves bags of time. From the technical designs built using SOLIDWORKS, the work could be shared across research and development, engineering and even for listing the serial parts used for reproduction and supply. Defenture deployed the same data across several departments, which slashed production time and minimised waste. Also by using SOLIDWORKS Composer, the team was able to transfer the vehicle designs straight into end-user technical manuals, bypassing the need to produce or commission a separate document. End result: a solidly built, nimble powerhouse of a vehicle that serves its infantry, military and country with aplomb. 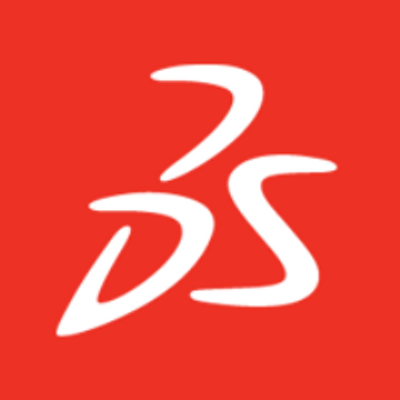 SOLIDWORKS is proud to have been part of the journey.